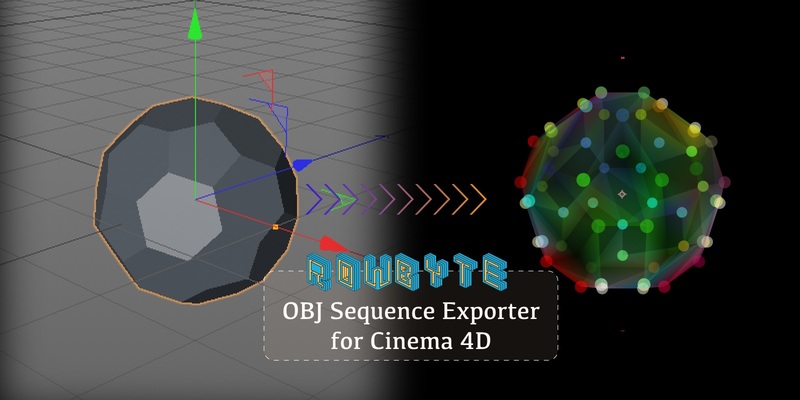 OBJ Exporter for Cinema 4D is a plug-in that exports OBJ file sequences from Cinema 4D, which you can use them to import into Plexus using the Plexus OBJ Object. The exporter now exports all vertex attributes like Normals and Texture Coordinates. It also creates .mtl files which can be discarded if not needed. If you are having issues related to OBJ Sequences in Plexus contact us for a quick response. If it's related to other plug-ins/applications not related to Plexus please contact the publisher of that program for a solution. This plug-in is designed to work with Plexus. It might work with other products/plug-ins, but there is no guarantee. Extract the zip file and move the contents in to the plug-ins directory of Cinema 4D. You can export the OBJ Sequences from File->Export->OBJ Sequence.